Join Us Feb. 15–17 : Register Now! Were you one of the 1,000+ St. Edward’s friends who came to Homecoming & Family Weekend in 2018? This year our plans are bigger and better than ever. 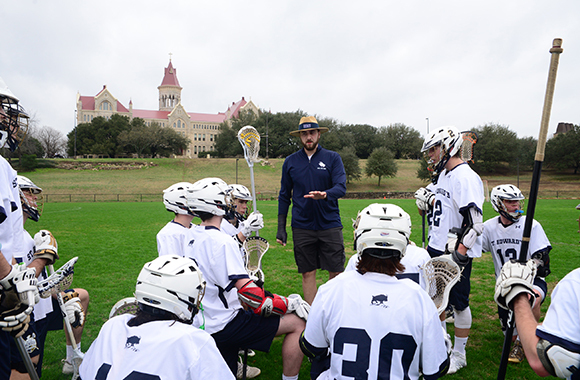 Read on for a fun-filled list of what’s in store for you in 2019, including time-honored traditions and new activities. And register to attend. The Office of Student Transitions and Family Engagement is planning an array of new activities for families, including a night out on the town, a movie, a tailgate and of course, a massive celebration at the popular Homecoming & Family Weekend Bash (see # 5 below). Stomp your hoof for today’s Hilltopper student-athletes at more than 10 NCAA DII athletics events. 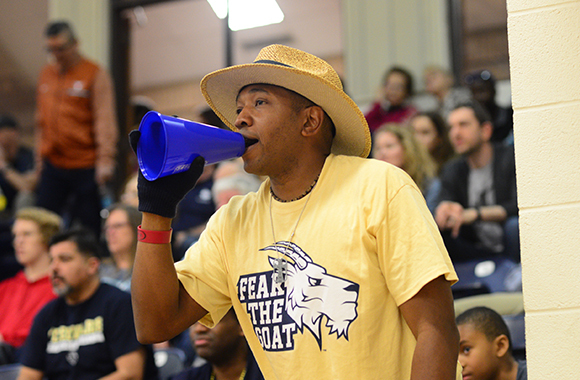 Bring your favorite spirit wear, or grab some new swag to inspire the Hilltopper baseball team, men’s and women's basketball teams, and men’s and women’s tennis teams. Capture the best view of Austin from the stone steps of historic (and recently restored) Main Building. If you haven’t visited Austin in a while, now is your chance to come back to our thriving home city and enjoy your favorite spots around town. Dance the night away with the entire St. Edward’s community! 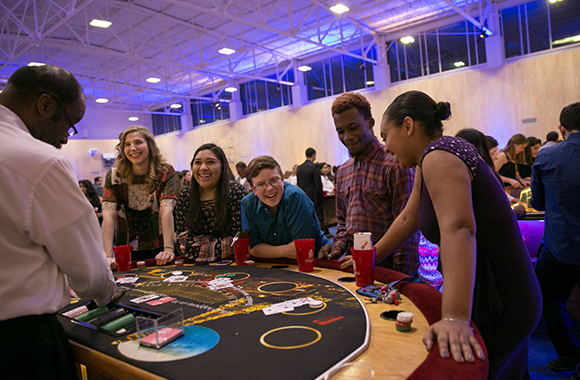 For one night only: all alumni, students, family members and friends are invited to the greatest hilltop party of all time, featuring live music, food, drink and casino games. 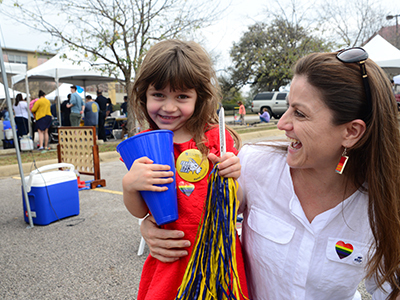 Celebrate as one at the Homecoming & Family Weekend Bash! Reconnect with your favorite professors or staff members at St. Edward’s. 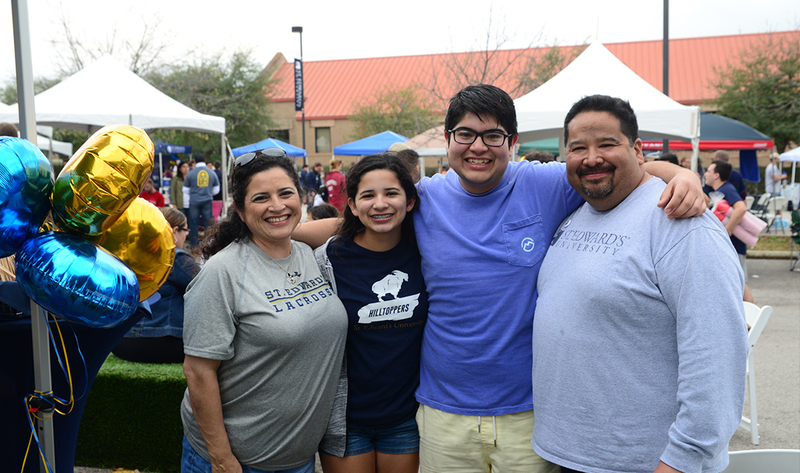 Families also have the opportunity to meet their student’s support system on the hilltop. You can even catch President George E. Martin at the presidential tent during game-day tailgating! 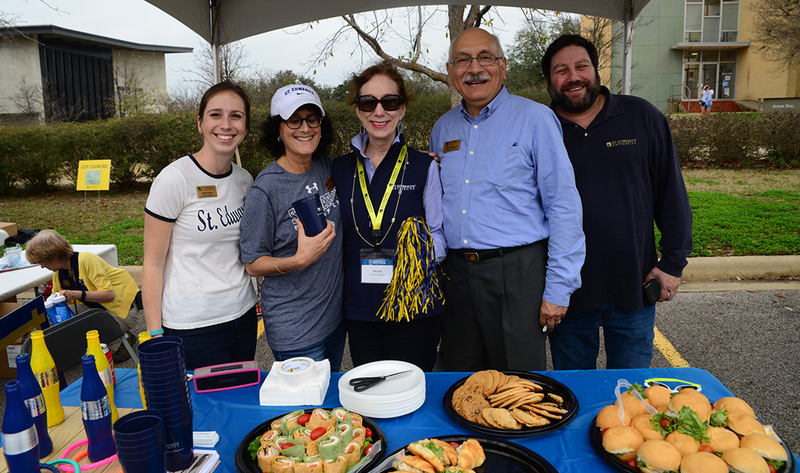 Whether you’re attending this event or hosting a tailgate spot, tailgating during Homecoming & Family Weekend is the place to connect with Hilltopper friends and families, pick up some St. Edward’s swag, and enjoy sweet and savory snacks. You have a home on the hilltop. Whether you graduated last year, last decade or last century; whether you love a student whose ambition, curiosity and heart make them the ultimate Hilltopper; even if you’re just fond of St. Edward’s — come back home! Honor three very impressive alumni and four awe-inspiring Hilltopper athletes at the Alumni Honors Ceremony. Recognize our Distinguished Alumni awardee, Alumni Achievement awardee and Alumni Service awardee, and induct four former student-athletes into the Athletics Hall of Fame. Are you from the Class of 1969? 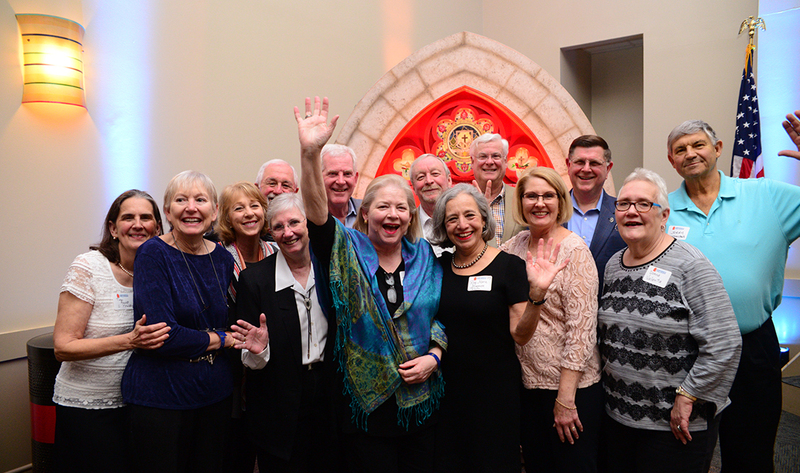 Celebrate your 50th Reunion and in a separate event, commemorate your five decades of St. Edward’s during an induction into the Golden Guard. Meet your fellow Golden Guard members at a private Mass and Luncheon. 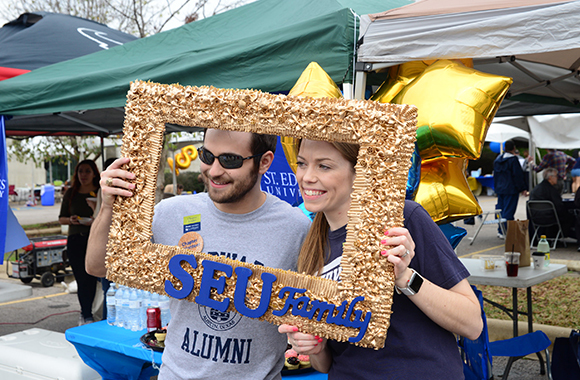 In addition, new graduates of the last decade are invited to celebrate their #seualumni status at the GOLD Reunion. Join us for a night of intrigue, swashbuckling and romance at a performance of The Three Musketeers by students, faculty and theater professionals at the Mary Moody Northen Theatre. 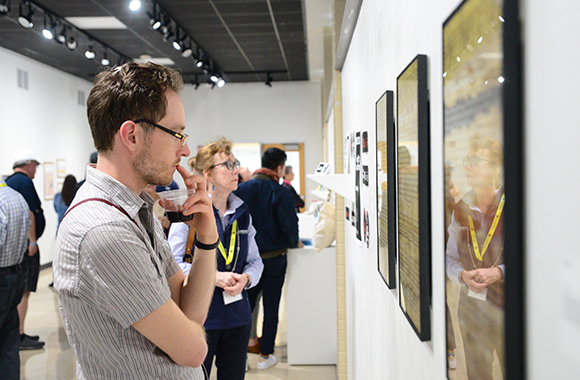 Drop by the Fine Arts Center and stroll through the gallery, where senior graphic design students will be exhibiting their work. You can also enjoy the complimentary wine and cheese bar and listen to the exhibitors discuss their creative process during the Art Stroll at Arts and Humanities on the Hilltop. 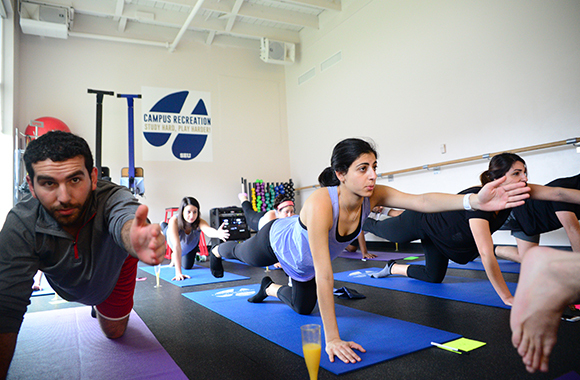 Find your zen with Yoga and Mimosas, or catch a club sport match and cheer on your favorite team at a rugby or lacrosse game. Join the university’s schools for a series of lectures on varying topics across the weekend. The Bill Munday School of Business will host Lightning Lectures and the School of Behavioral and Social Sciences will host several political science lectures and panels. Literally, take the time to revisit the Sorin Oak on your own time. After the Ring Ceremony — where the official university rings are blessed and everyone puts them on for the first time — a group of seniors process to Sorin Oak for the Rooting of the Ring: each recipient walks up to the tree and taps their ring to it to symbolize being rooted in the university and its values. Alumni can also order a University Ring online and participate in this ceremony. St. Edward’s started with one building and three students who came to class straight from the farm. Today’s campus has 4,000 trees and 30+ beautiful buildings, but the tight-knit feeling remains. Come to the hilltop to discover what’s new and how we’ve kept the spirit the same during a self-guided or student-led campus tour. 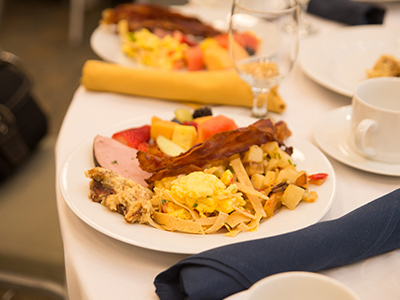 Austin has its fair share of brunch spots, but our Farewell Brunch is renowned for being a hearty, mouth-watering feast. 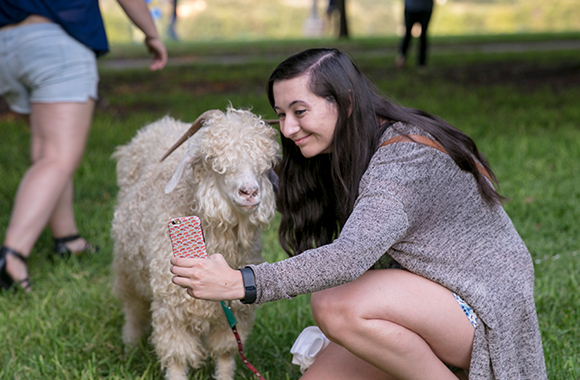 Stay on campus for one last celebration with your cherished friends and Hilltopper families — and maybe meet some new ones. Not to mention, food, jazz and mimosas! Learn how Holy Cross values and history continue to enrich the St. Edward’s tradition of improving lives through education and service at Our Holy Cross Catholic Heritage, presented by Father Peter Walsh, CSC and Brother Larry Atkinson, CSC, ’72. 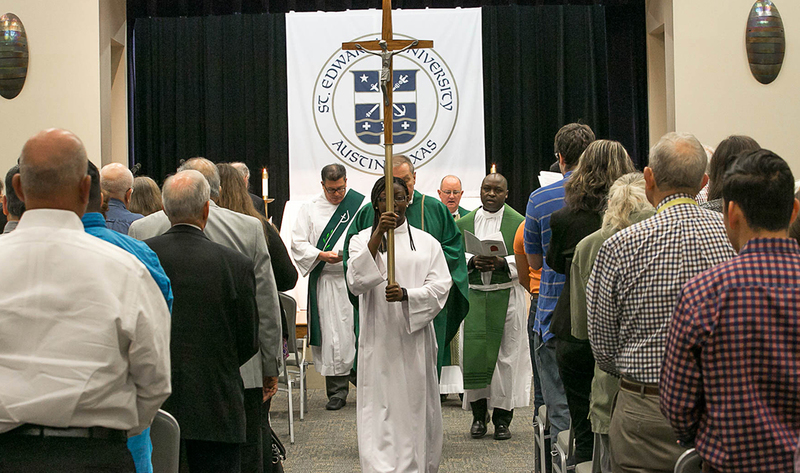 Pray with the St. Edward’s community at Homecoming Mass — the largest religious celebration on the hilltop — to close out the weekend experience for all. You can purchase a weekend package or register individually for paid events. Check out our FAQs or photos from last year for more details and a peek at the fun and community spirit that make Homecoming so special.